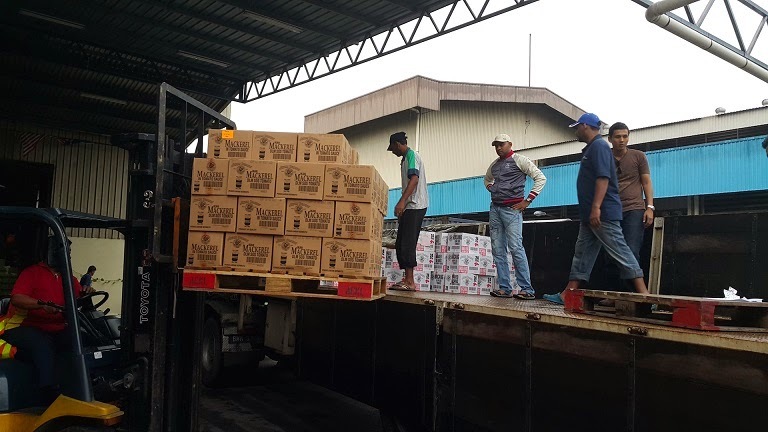 Ayam Brand™, famed for its wide range of healthy and convenient, preservative-free canned products, has donated hundreds of cartons of its products to the Department of Islamic Development Malaysia (JAKIM) in its effort to aid flood victims across affected states. The food donations include Malaysian favorites such as Ayam Brand™ Sardines in Tomato Sauce and Ayam Brand™ Baked Beans, which are high in protein, calcium, Omega 3 and fiber that do not contain added preservatives or Mono Sodium Glutamate (MSG). According to Ayam Brand™ Human Resources Manager Encik Mohd Daud Hj Ibrahim, the donation is a part ofAyam Brand™ ‘s Social Responsibility efforts, and is in direct response to the current needs. “On behalf of Ayam Brand™, we would like to extend our prayers to the victims who are affected by the recent floods. We hope that this aid will provide some respite and relief to the victims through quality food, which is important as they rebuild and return to their homes,” added Encik Daud. 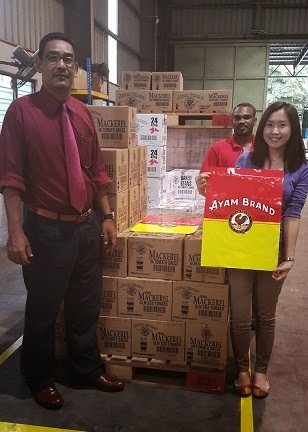 The employees of Ayam Brand™ also did their part in helping the flood victims by taking up donations to top up more products for the flood victims. “We are delighted that more than a thousand cans of Ayam Brand™ products were contributed from our employees alone, and that the culture of giving and helping is strong here,” said Encik Mohd. Hisham Talib,Ayam Brand™ Halal Coordinator. For more information on Ayam Brand™, please visit www.ayambrand.com.my. Quill City Mall's very grand Launching!! !